The nearly 620 residents of Lakewood Village enjoy a small town atmosphere with beautiful wooded lakefront home sites on the Lake Lewisville peninsula. Lakewood Village is an ideal setting for homeowners in all stages of life, from young families looking for a safe environment and quality schools to retirees looking for the comfort and tranquility of a lakeside community. 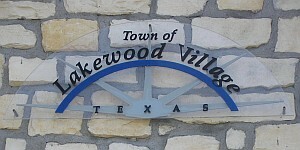 Lakewood Village is serviced by the Little Elm ISD. Listing courtesy of Eric Hancock Brokerage. Listing courtesy of Real Estate 365. Just look!! Huge oaks and a view of deep water no matter the lake level. So hard to find waterfront with both if those traits. Compare to lots 900k and over.